Little minds are ever curious and changing. During the first five years, a child’s brain develops more rapidly than at any other time in their life. A young child’s experiences create a foundation for learning and behaviour, which can be enhanced greatly through early childhood education. Research has shown quality early childhood programs significantly improve academic and life outcomes. For example, children who attended preschool performed better in Year 3 academic assessments, according to the Department of Education and Training. 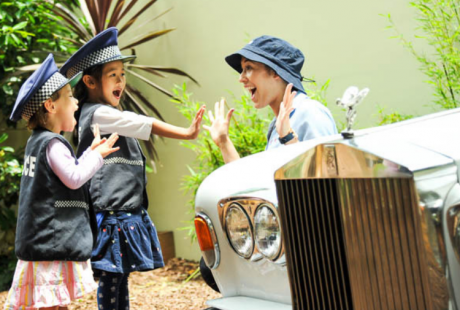 At Kids Club, we understand the anxiety of parents who are deciding whether to send their little ones to childcare. Sometimes, finding the right place can make all the difference. This is why a quality centre should be a caring space with a consistent routine and an environment that inspires a lifelong love of learning. So, what exactly will your child gain? 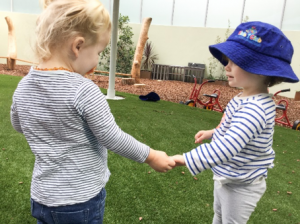 It’s important preschoolers begin to develop skills that lead to good friendships. Humans are interdependent, and relationships are vital for a person’s mental health. 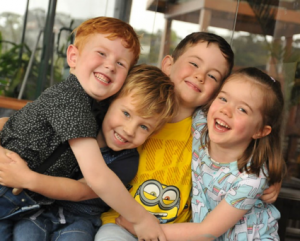 Parents or carers are the most important influences on young children, but they also need to learn how to navigate the world with those in their age group. 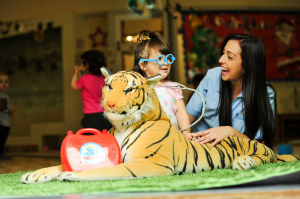 As qualified specialists, educators have been trained to understand children’s developmental needs and milestones. 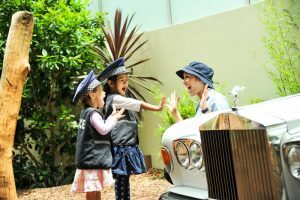 They observe and evaluate each child’s physical, mental and social development, and identify any problems or concerns, which are then communicated to parents. Their daily observations are the key to knowing your child’s interests. A good educator will adapt teaching methods to meet the differing needs of students and their interests. They know how to facilitate play that helps children develop fine and gross motor skills, creativity and a love for learning. An early education program where all meals are included is an exciting opportunity for children to develop healthy eating habits through exposure to nutritious meals and information about the importance of food. Positive attitudes towards food are formed in the early years. Preschoolers also learn about proper food etiquette and social skills around the table. 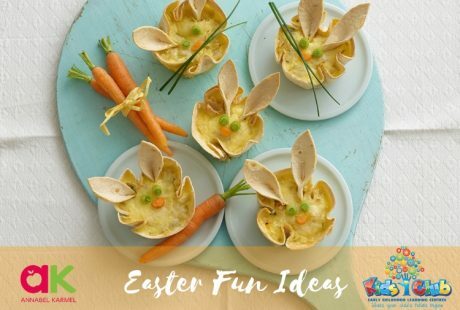 At Kids Club, we make sure children are served the yummiest healthy food. Our chefs offer bright fruit platters and delicious healthy meals with plenty of carbs, protein and vegetables prepared fresh daily in our commercial kitchens. By watching their peers embrace different foods, even the fussiest of eaters are encouraged to try something new – often with great results! Our Chefs are passionate about nutrition and love to talk with the children during mealtime. They talk about what food does to your body and promote self-help skills around the table. They also give cooking classes to the children: they bake cakes, make pasta or prepare fruit for afternoon tea. Children need to move their bodies to learn about themselves and their world. It’s also a vital part of brain development! 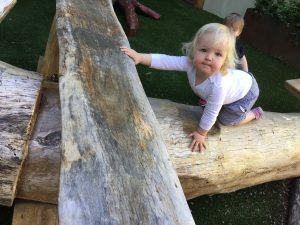 Early education centres are designed to be completely safe environments with an outdoor component to give children a chance to take calculated risks without fear for safety. It allows freedom of movement in a ‘yes’ space, all under the watchful eye of an educator. 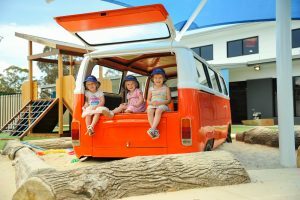 The Kids Club outdoor play areas are like no other. 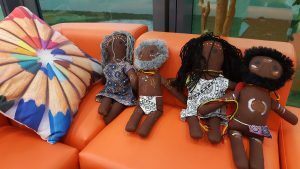 First, they are really outside, even in the heart of the CBD and each piece of equipment has been imagined, designed and built in-house with natural wood. The aesthetics inspire fun and creativity. 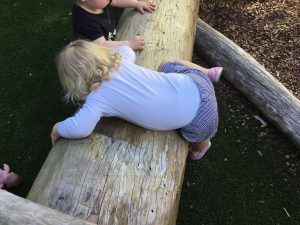 There is a purpose for every piece, giving children a chance to practise gross motor skills, whole body coordination and balance. This helps preschoolers develop the proprioceptive system – meaning they can sense their own body – which is a precursor to them being able to sit still and pay attention to their ABCs and 123s. 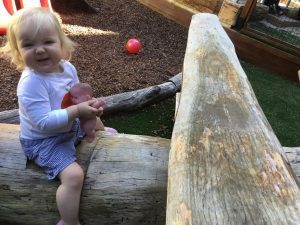 When choosing a centre to enrol your child, check out their outdoor play area and be sure to ask about how much time and space is available for movement. Children learn about the world around them through their experiences. Early childhood education helps children appreciate differences through exposure to peers from another culture, ethnicity or worldview. They learn everyone is unique and valued. Even a simple meal can teach children about various religious practices, those who suffer allergies and cultural traditions. 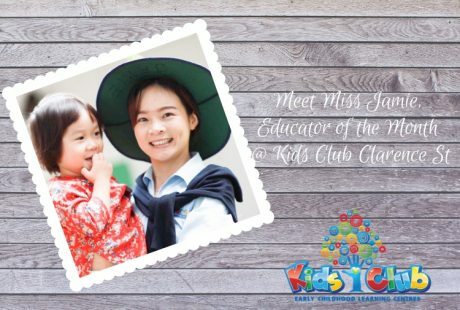 Another great way for children to learn about diversity and other cultures is through an early education program that incorporates language classes, such as the lessons taught at all Kids Club early learning centres. When young children enter childcare, they can frequently become ill. It is usually a child’s first consistent exposure to a large group environment. By fighting off illnesses at a young age, the child’s immune system becomes stronger and they are less likely to stay home sick when they begin school – which is an important period of learning to read and write. It’s impossible to develop resistance to all viruses and there are other factors at play, but early exposure generally means they are better prepared.